Anyone here ride? What ya got? Thread: Anyone here ride? What ya got? 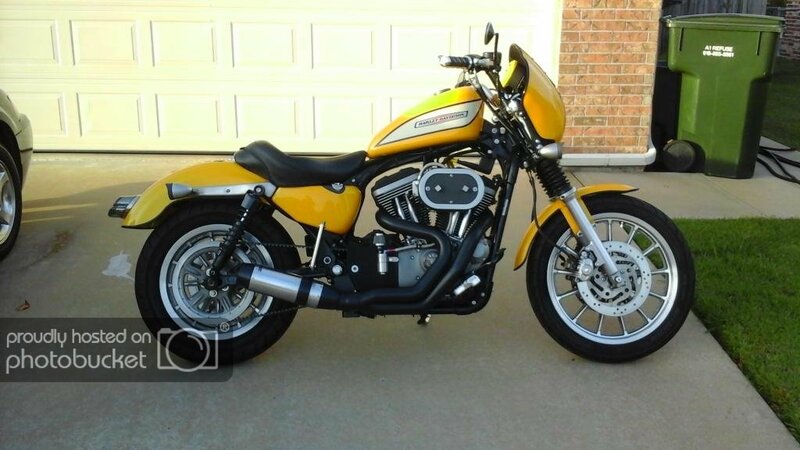 I am looking into a new bike hopefully this summer - I am considering a Harley Davidson Street Rod 750, funny it's an american motorcycle but reminds me of.. well... what I have, 80's Japanese standard motorcycles. I used to just hate on HD years ago - Chrysler too. "Black Knight" was my father's trucker CB handle. 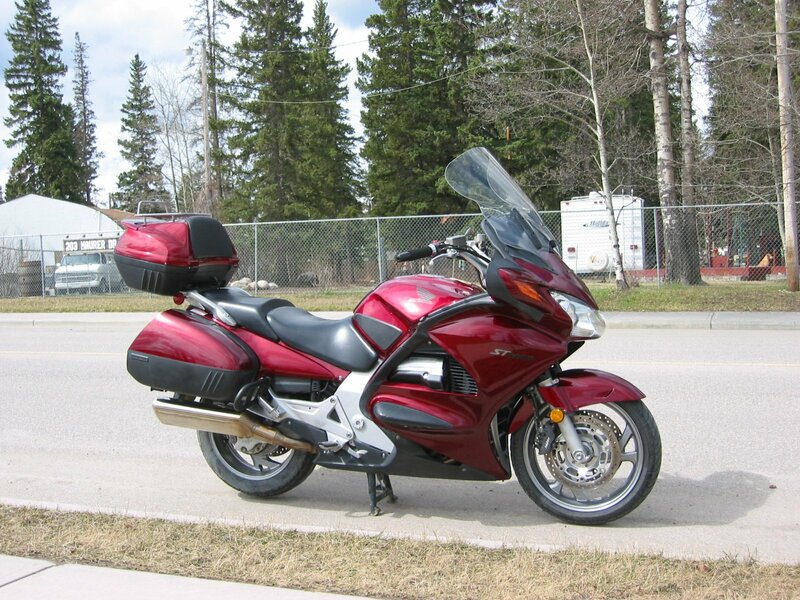 I ride a 2005 Honda ST-1300. I've owned and operated motorcycles since I was 14. I've had all kinds, over the years, Honda CT-90, Suzuki A-100, Honda CB-360T, CB-750-4K, 2 Yamaha Virago 750's, Several Yamaha XS-1100's, Yamaha 650Midnight Special. Currently the ST has 234,000kms on it, but I haven't used it much last 2 years. Personally I wouldn't go for the Hardley. It may look like your others but it will be clunky, slow, and gutless by comparison. I rode with the same group of people for the last 30+ years, and they decided to go Harley, and don't want to ride with me anymore as they can all ride like a bunch of old men. Last edited by Crazcnuk; 04-11-2019 at 02:25 PM. HA ha... that's exactly what I called them. Hardley's. Well... it's liquid-cooled. The first HD I know of that is. I also rode dirt bikes as a kid, and have had quite a few street bikes since then. I have a list somewhere. I "outran" an 883 with my old 78 Honda Hawk 400 parallel twin when I first started riding on the street, but I hear HD has changed since then. I don't know - I will at least give one a test ride. Honda ST-1300? Those are nice - I have never had a tour bike but I like them. Fastest bike I have ridden but not owned was an FZ1, a 2008 model. That thing should not exist, only the R1 - because although it's tuned differently, it's still too fast to have the rider sit that upright... I was glad at the time I was lifting weights regularly because it pulled so hard. Last edited by Black Knight; 04-11-2019 at 05:06 PM. First bike - 1980 GS750 sport, short bars, bar-end mirrors. 6 more, dual purpose and sport, until 2009-present 2008 CBR1000RR, "Quicker". I'm not a hooligan by any stretch, but I sure like 178 hp on tap! 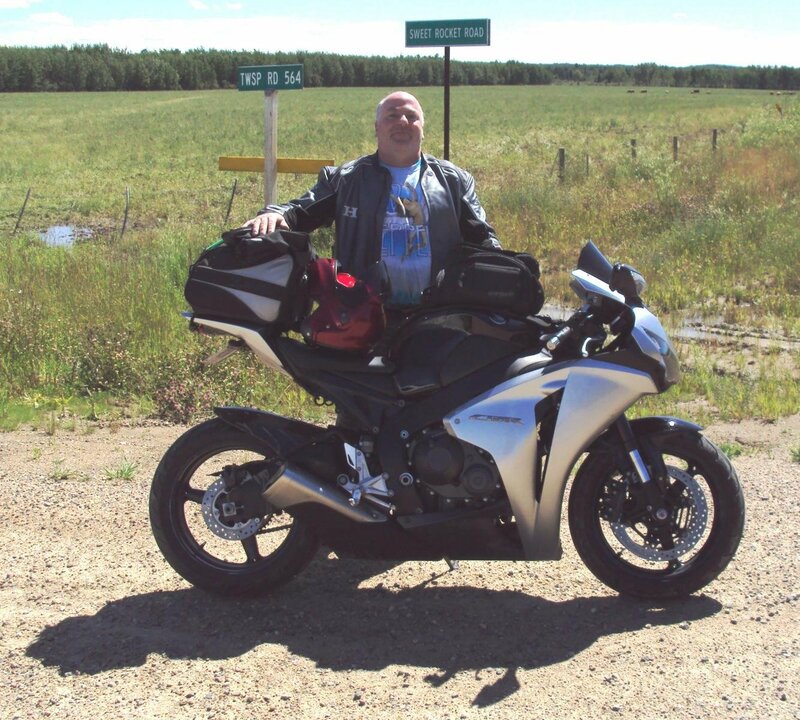 I'm a fair-weather rider with a tail bag kit on it, and take usually at least 1 overnighter or longer per year. Hardly any tickets, I promise! 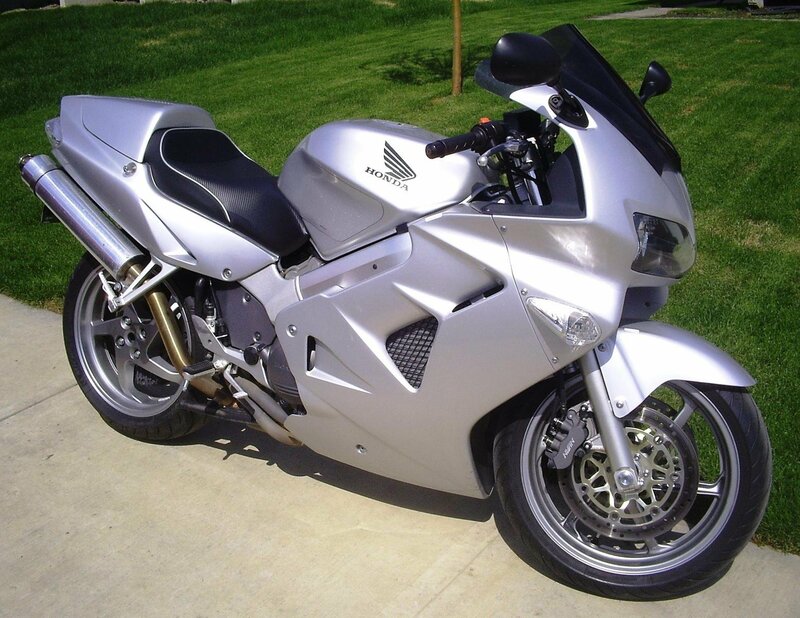 My best bike ever was the 2001 VFR800, v-four, "Quicksilver". It broke my heart when a pickup cut me off and it was totalled. Last edited by Paul - Grande Prairie; 04-11-2019 at 08:11 PM. been thru the gamut of bikes too. cept no dirt/offroading. mostly miss my '97 V-max. thing bout killed me but damm was it fun. Kaw 440,Suzuki Boulevard, Harley 1200C, 97 Seca 750, couple more here an there. now im up to '15 Spyder and '15 Valkyrie. I rode a Shadow 1100 for over 14yrs, the 1985 model that was 80hp, before they detuned them and took out a gear. I had 114,000kms on that one when I traded it for the mobile home I have lived in for the last 16yrs. I didn't look at the ST at first because I thought it had a sport bike seating position, leaning forward, but you actually sit on it just like a CB750 or any 'normal' Japanese bike from 'back in the day'. I really like the ST. 120hp, very smooth V-4 motor you can't hear on the highway. It's quick, nimble and comfortable. You can pick them up cheap if you look around. I bought mine, a 2005, used for $5,000 in 2008. I have almost every option (factory or aftermarket) as the original owner put a lot of stuff on it. I added electronic cruise control heated grips and the factory trunk. As anyone with experience with motorcycles, Harley in particular, knows by my screen name what I rode last. I just sold my last bike ( I think ) which was a Harley Road Glide Ultra. Many trips and wanderings up and down the eastern coast. My first road bike was a CB350, a 1969 I think. Plenty of dirt machines before and after too. A sprinkle of Yamaha's, Honda's, Kawasaki's. A move towards something different with Moto Guzzi, then Ducati and finally a long string of Harley's from a Sportster to the now gone Road Glide. A life time of riding, 50 years on the street alone. 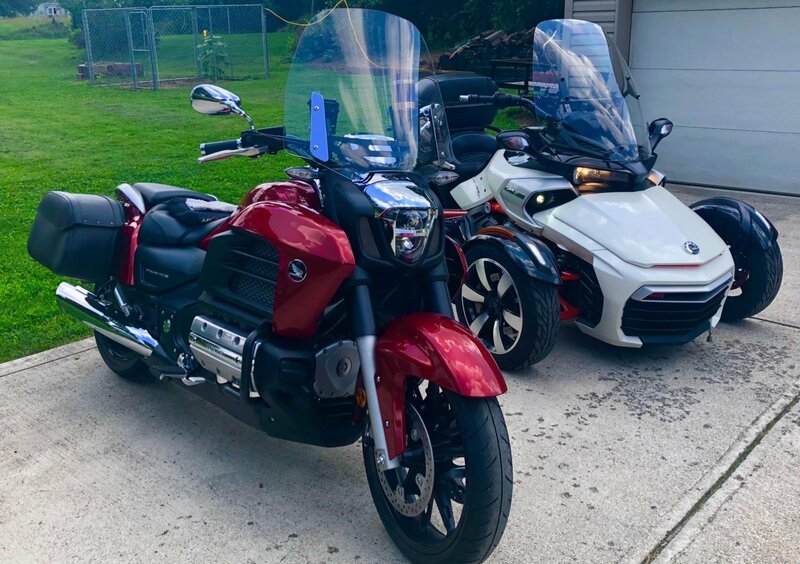 As you can tell, I am getting on in years and my overall condition doesn't allow me the ability to safely handle a 900 pound plus motorcycle with an added passenger ( the wife ) bags and associated stuff. That takes the total weight to around 1300 plus. Too heavy for my old knees and legs. My suggestion for picking a bike. Choose what your eye tells you. Pick the bike that fits your idea of what a motorcycle should be and what it should do. Harley's are great bikes, but fit a certain segment of riders. Other brands have followings for many different things. So pick what you like, not what others tell you is the best. Now, I have moved back to the 4 wheel world for excitement and fun. See you guys at the next car show. Bikes are welcome everywhere motorheads are. Here is my ride for fun now. Just need a sidecar! Or those wheels that come down at under 5kph. Or I suppose one of the 3-wheel bikes. How about a 3 wheel ENCLOSED motorcycle? Last edited by Crazcnuk; 04-13-2019 at 04:21 AM. Started out as a 2005 XL 1200R. 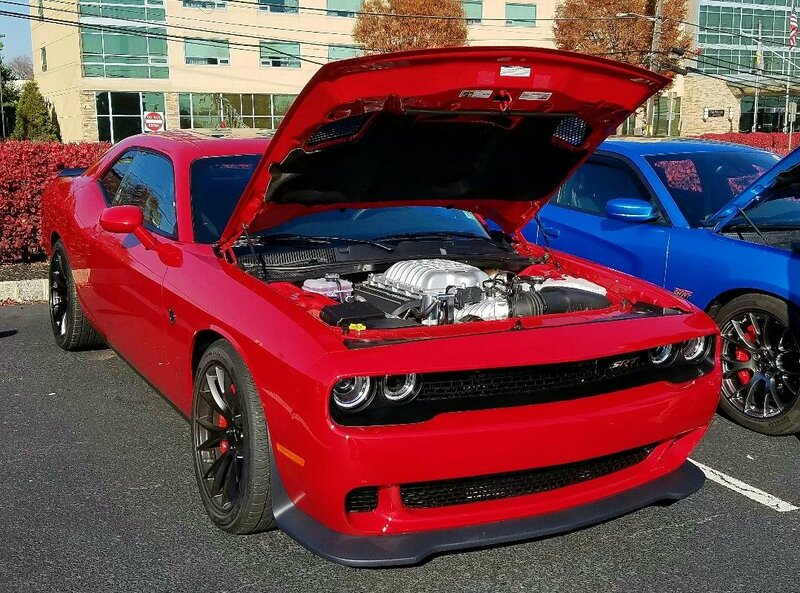 Now it has an NRHS 1250 kit, cams, Stage 2 heads by Dan Norlin at Hammer Performance. HRS 42 Mikuni carb, D&D Bobcat exhaust and a twin cam ignition module with a custom ignition map from Jester Motorwerkz. Anyone add protective film to their ride?